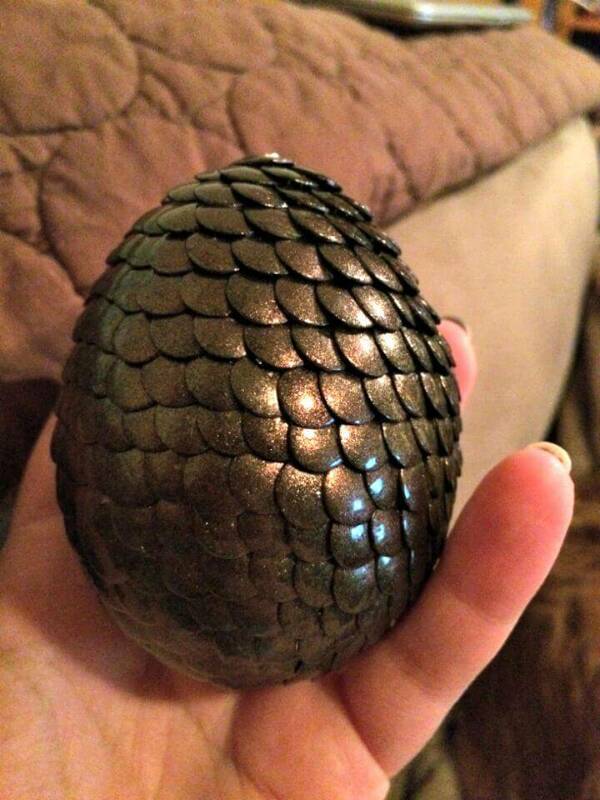 The one of the most amazing gift craft that holds much the attention of the kids is the dragon’s egg! They can be seen around mostly when there is a festival or a craft competition, and they are also made for the Easter gifts and adds in the beauty of the gift by being all around the gift! 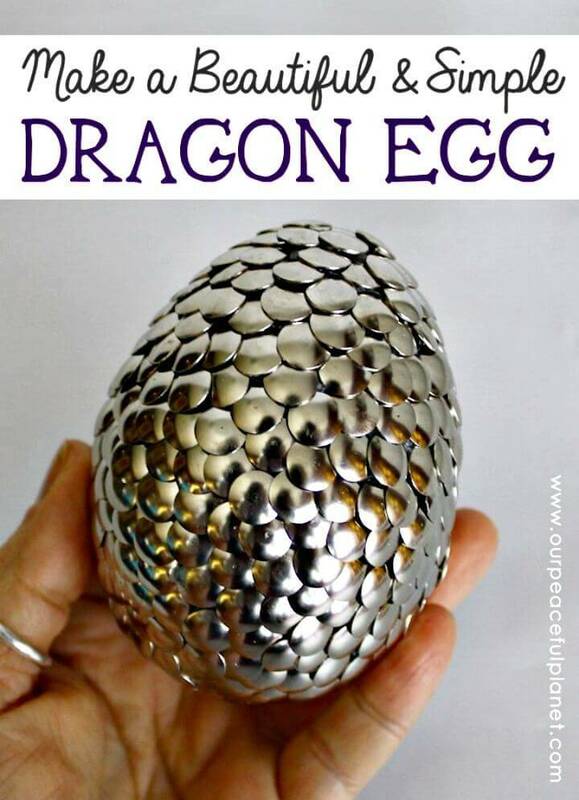 However, one can create amazing dragon eggs at home also without buying them expensive from the market! 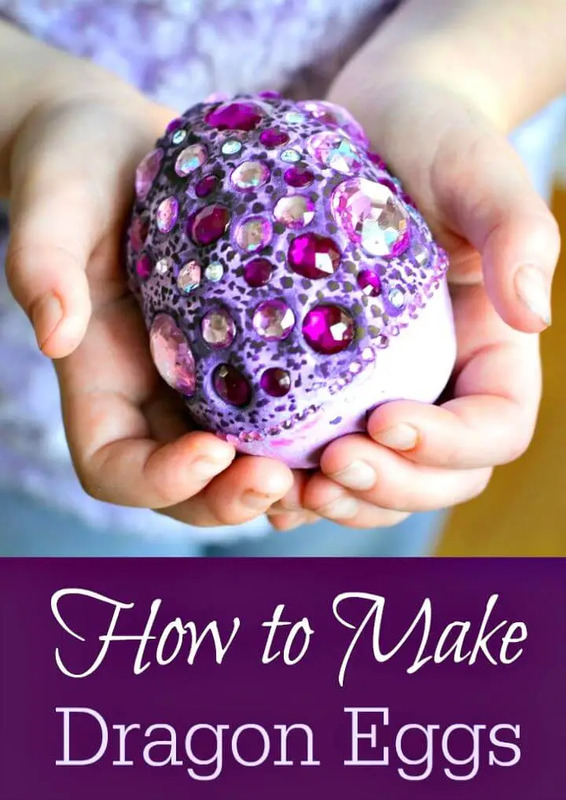 Your kids can also take part in making these fictional eggs that will be a cute item to look in the hands of the toddlers and other little kids! 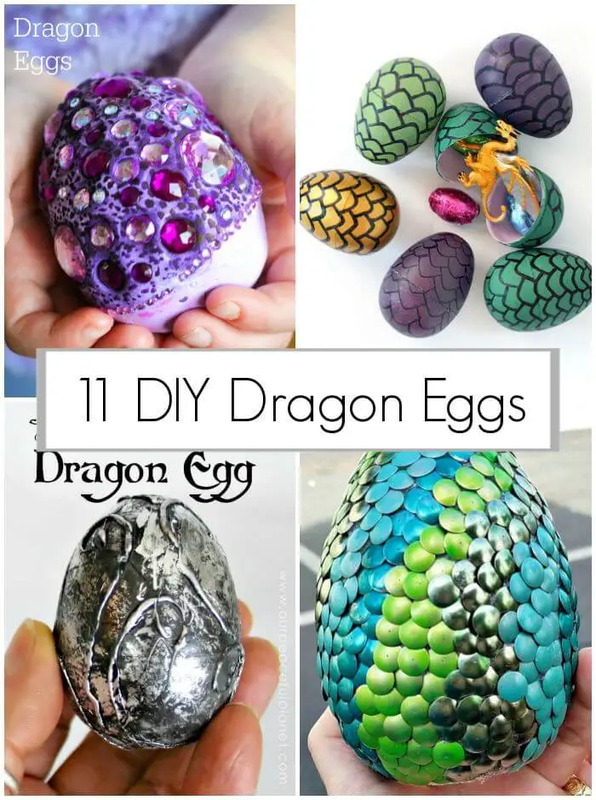 If you are willing to make some sweet dragon eggs at home then we have already laid some fantastic DIY ideas for you here that will teach you to make each and every kind of dragon egg that you need to put with a special gift or the one that you are sorting out to boost the decors of your home! 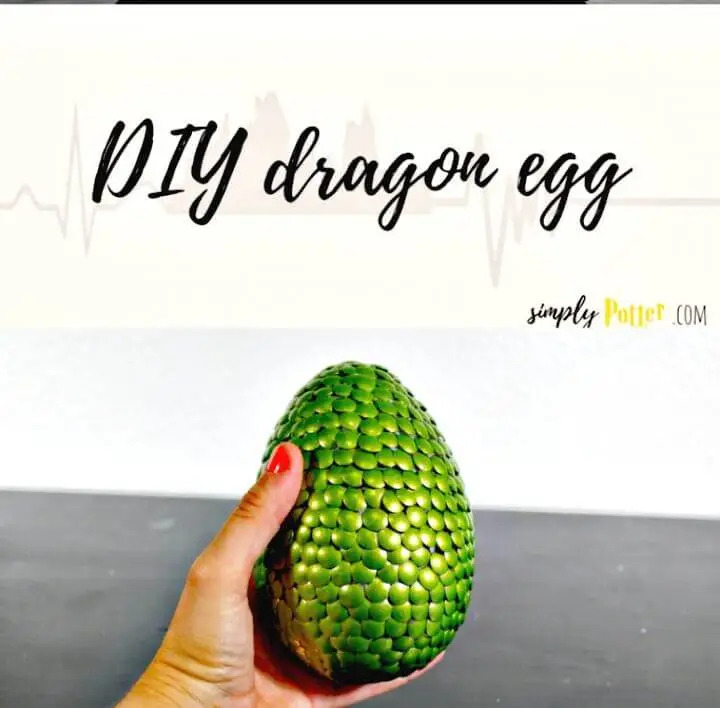 This list will guide you to make various kinds of dragon eggs at home using the inexpensive supply materials, and you will be profoundly amazed to see the tricks and creativity involved in these projects! 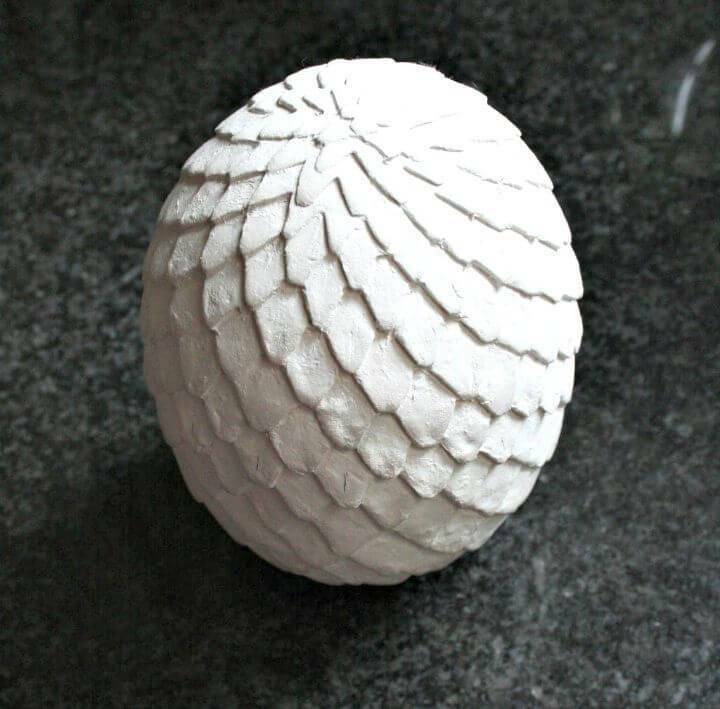 The dragon eggs inspired of games of thrones are highly popular, and the list will provide you that hacks to make the coolest plays of throne inspired dragon eggs at home that will go enchanting to all onlookers! 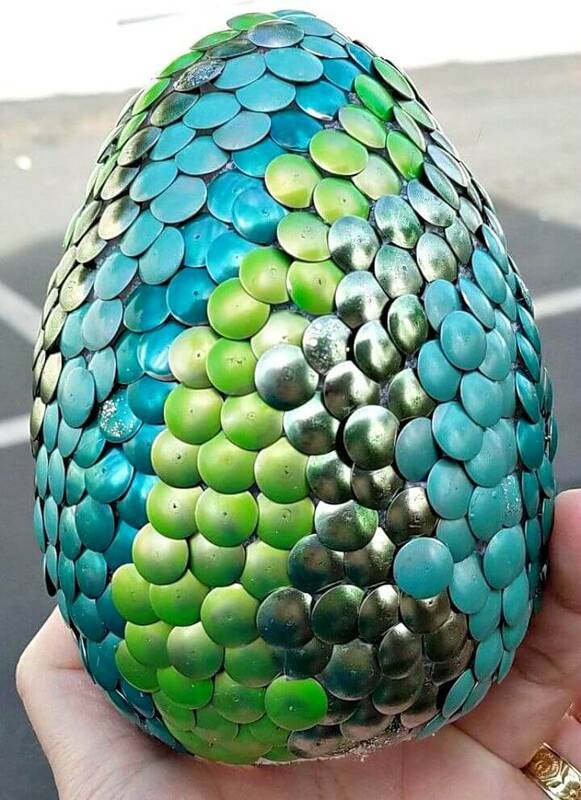 Here you can create different materials to make a special dragon egg at home! First, you can make use of clay to make the basis of the egg like the egg foundation or base and next you can start decorating it with different items of decors that you are having in hands! 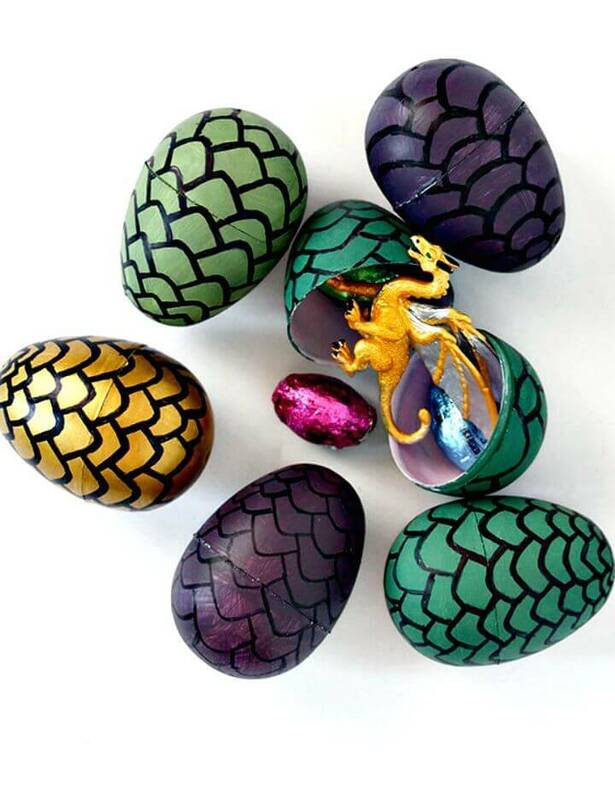 Just make the clay eggs, paint them with the acrylic watercolors and then adorn them with colorful beads to make fancy dragon eggs! 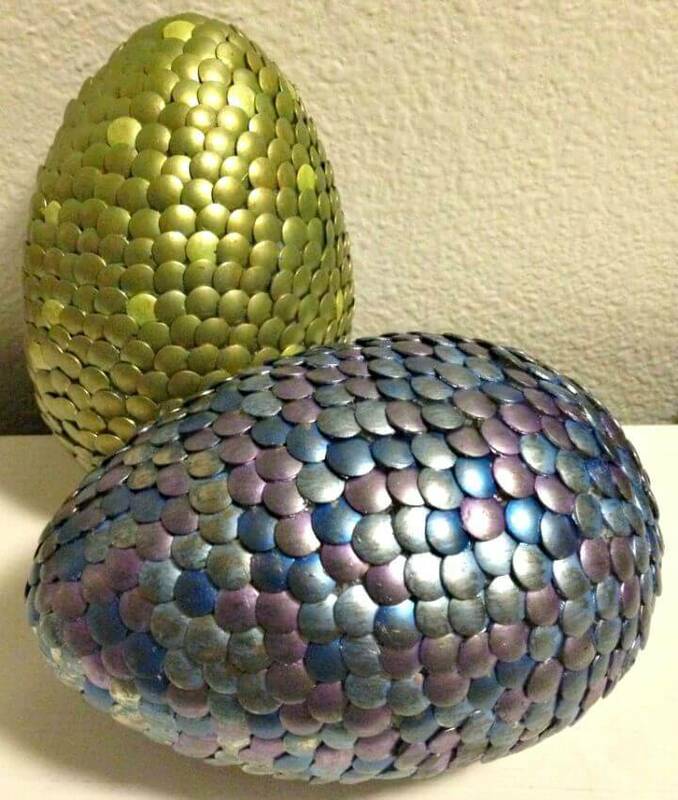 Next, add the thumbtacks all around the Styrofoam eggs and make metallic large dragon eggs that will go eye-catching and will also be super easy to make! Check out a mind-blowing sample given below! 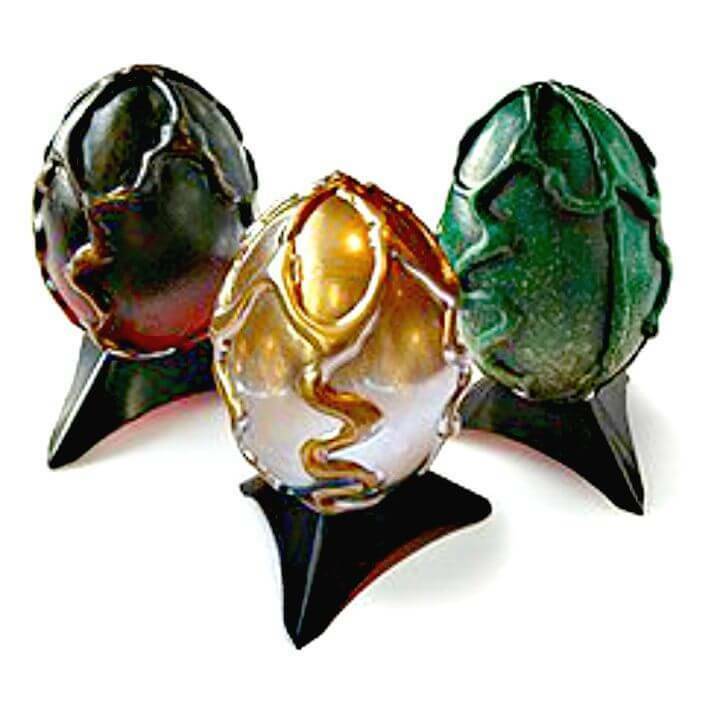 Next paint also the plastic eggs and use the sharpie to display shell on them to make games of throne inspired dragon eggs, and next also please the kids by making Harry Potter inspired dragon eggs that will also be super to make, take a look at the exciting samples given below! 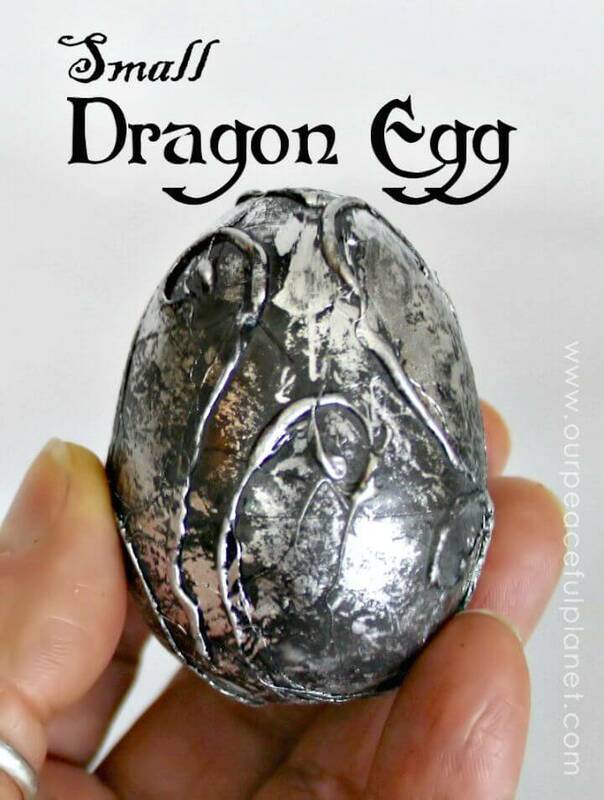 You will also be provided with the amazing tricks that will help to sculpt a dragon egg easily, and you will also learn how to make the small dragon eggs that can be put in the pockets and you can also hang them aloft to make some tremendous hanging ornaments! Moreover, they can also be added with the keyrings to make cool keychains that will also make great gifts for friends! 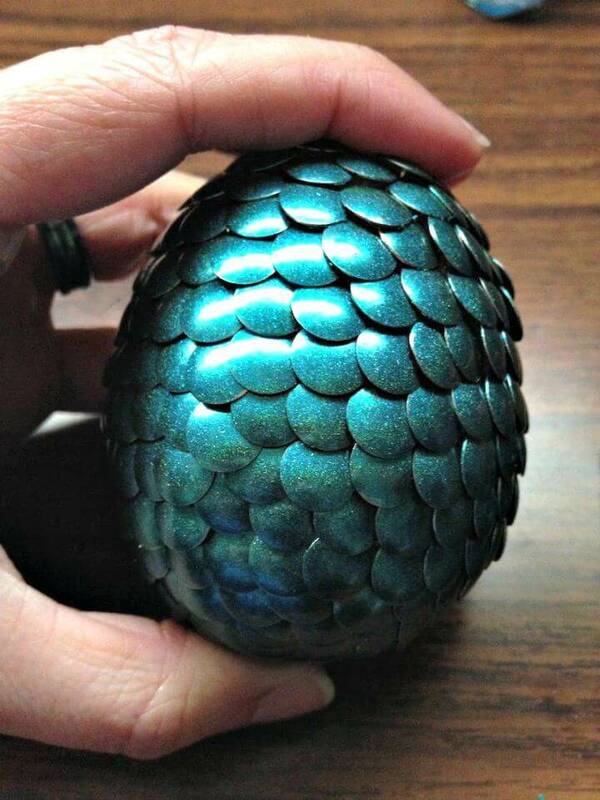 Check out some more homemade dragon egg designs in the given below list and do duplicate your favorite ones! Grab also the full free tutorials by browsing the respective attached links!